We're holding a special event for graduates or soon-to-be graduates from any discipline to come and visit our brand new Nottingham headquarters to get a flavour of life at Macildowie and to see what it's like working in a recruitment environment. We also want to find out more about you as an individual. Macildowie has a rich history of employing and developing graduates with plenty of members of our leadership team joining as graduates and working their way up through the business. MACILDOWIE - WHAT CAN WE OFFER YOU? 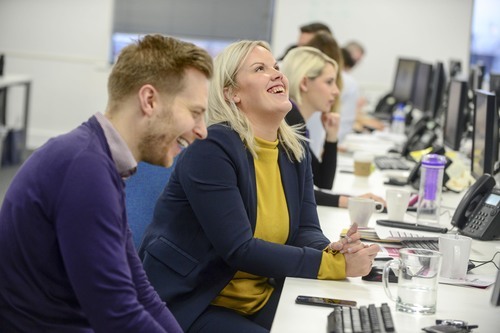 We are passionate about the power of long term relationships and we believe that what we do truly makes a difference to our candidate's lives and our client's business performance. As a result our business has doubled in size since the credit crunch of 2008 and we have plans in place that will see us double in size again over the next 3-5 years. This level of growth has been the result of individual performances that have seen consultants win incentives to Las Vegas and New York and get on the property ladder within 18 months of joining the team! We love trying new things, we’ve won awards for showing our customers how they can use LinkedIn to recruit for free, we run networking events designed to bring our customers to come together, to discuss topical issues, share ideas and build networks. We are the only business in the Midlands that use Mindmill, a personality profiling tool that helps us ‘objectify’ the recruitment process and really match ‘culture with culture’ as opposed to a CV with a job spec. In short - we're more than just a recruitment company. Our MD, James Taylor, has a dream to turn Macildowie into the best recruitment business to work for in the universe! You won't take yourself too seriously; there are no big egos in our business. Instead, you will be motivated by doing a great job for your customers and being a positive influence across the organisation to be the 'Best Version of You.' You will recognise the importance of pushing yourself and you will be open minded to trying new approaches, learning from your successes and failures and understanding that being part of an ambitious customer focused unit of people comes with tremendous opportunity to progress but also a healthy pressure to contribute within the team. WHAT WILL YOU BE DOING AT MACILDOWIE? 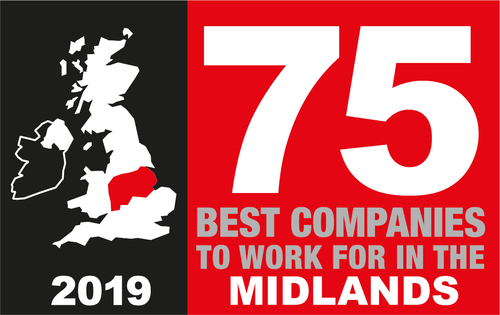 This is a unique opportunity and as part of our graduate scheme you will be working with a host of instantly recognisable PLC Customers and high growth SME's to pipeline and recruit the very best talent that is 'in' the market, not just 'on' the market. You will build relationships with candidates who work across multiple sectors, supported by myself and the wider team, to build talent pipelines that will ultimately give you the platform to be able to serve our customers needs. This means making great placements. We believe in investing in the training and development of our employees to enable you to become a star performer today and a potential leader of tomorrow. You may have previous experience in recruitment or another industry; you may not have any at all. We are looking to hire on attitude and aptitude, not just technical fit. Freedom within a success framework - this is how we define our culture. Times Top 100 business - We are a people business so our training and development is second to none, be it at trainee, consultant, manager or director level, we'll constantly develop and challenge to let you be the “Best Version of You.” We've also been named the 3rd best company to work for in The Midlands by Best Companies - read about it in Insider Media. Earning potential - our bonus is transparent, fair and very achievable. Career Path - we have a well-defined career path. Achieve & progress - all of our goal posts are never moved. Two of our Directors joined Macildowie as local graduates, as well as plenty of the members of our Leadership Team. If you believe Macildowie fit with your values and career plan we'd love to talk to you. Please contact myself, Darius Matusiak, dariusm@macildowie.com or call me on 07795 446801 for an informal and confidential conversation with a view to attending our assessment centre. Alternatively fill out the form below. Don't worry if you can't make this date - we can arrange an informal meeting at a time which suits you, just get in touch.